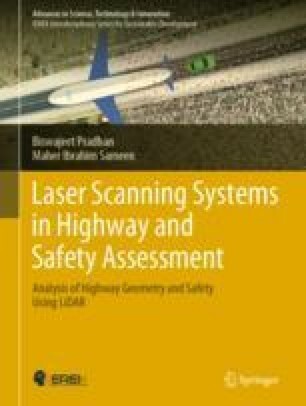 Automatic extraction of highways from airborne LiDAR (light detection and ranging) has been a long-standing active research topic in remote sensing (Idrees and Pradhan 2016, 2018; Idrees et al 2016; Fanos et al. 2016, 2018; Fanos and Pradhan 3; Abdulwahid and Pradhan 2017; Pradhan et al. 2016; Sameen et al. 2017; Sameen and Pradhan 2017a, b). Accurate and computationally useful extraction of highway information from remote sensing data is significant for various applications such as traffic accident modeling (Bentaleb et al. 2014), navigation (Kim et al. 2006), intelligent transportation systems (Vaa et al. 2007), and natural hazard assessments (Jebur et al. 2014).